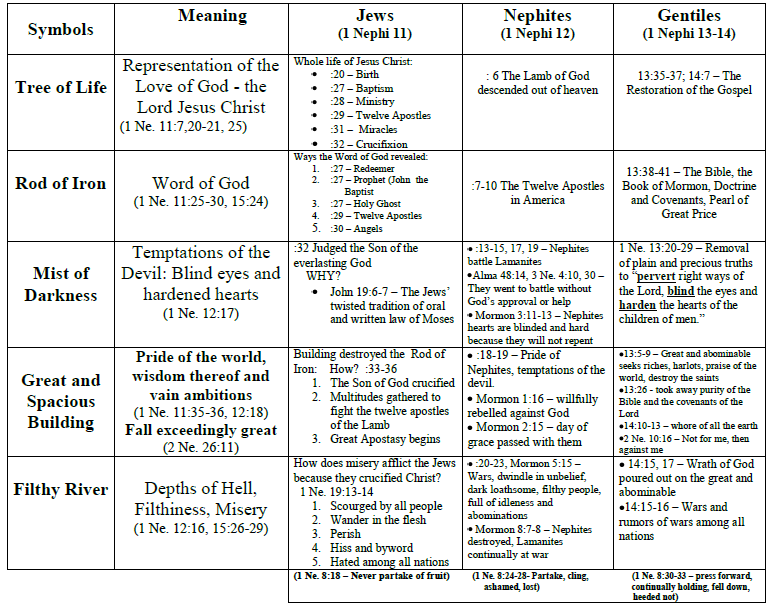 The following chart helps students to see how Nephi addressed these three groups of people in his vision: The Jews, the Nephites, and the Gentiles. We see this theme throughout the text of 1st and 2nd Nephi. 1 Nephi 11-14 are an illustration of how different groups of people respond to the message of Jesus Christ. How we react to his message will determine our destiny. I really like how this chart helps us understand how each group was affected in different ways by the elements of Lehi’s vision. This entry was posted in Book of Mormon, Charts. Bookmark the permalink.